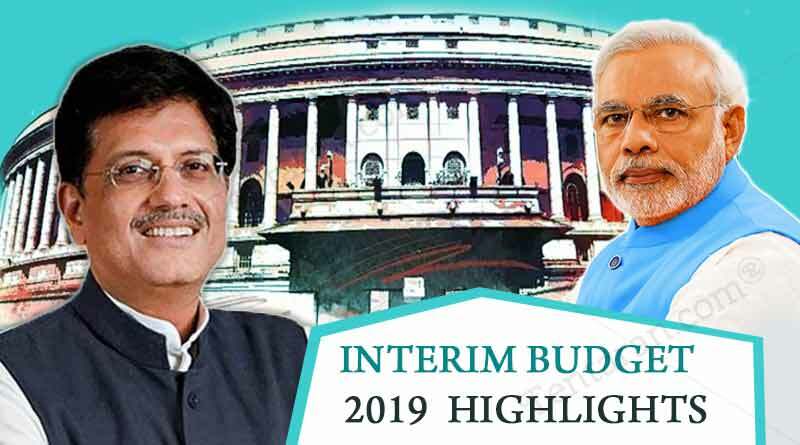 Here are the Budget 2019 highlights for you – What’s in budget for the citizens, major Govt achievements and Experts take on the budget. No tax for people with taxable income less than Rs.5 Lakh. Salaried people standard deduction increased to Rs.50,000 from Rs.40,000. Individuals with total income up to Rs.6.5 Lakhs will not pay any tax if they invest in provident fund and other prescribed equities. Interest income from banks and post office up to Rs.40,000 is tax free. TDS threshold for home rent increased to 2.4 lakh from Rs 1.8 lakh. Capital gains exemptions to be available for up to Rs.2 Crores to be available on 2 houses. Can be exercised once in a lifetime. Income Tax returns to be processed within 24 hours and refunds to be paid immediately. Assessment and verification of almost all the IT returns to be conducted electronically without tax officials intervention within the next two years. Businesses with an annual turnover of less than Rs.5 crores, comprising over 90% of GST payers, will be allowed to file quarterly returns. Group of Ministers to suggest ways to reduce GST for home buyers. Rs 3,000 per year pension for unorganised sector workers over the age of 60 yrs. with a contribution of Rs.100. Govt has allocated Rs 500 crores for the scheme. Gratuity limit increased for workers to Rs.30 Lakhs from current Rs.10 Lakh. Rs 6,000 per year assured income support for having up to 2 hectares of lands. Amount to be in released three equal instalments. Under Gram Sadak yojana, Rs.19,000 Crores allocated for construction of rural roads. For the first time, the defence Budget has been raised to over Rs 3 lakh crore. Additional funds to be allocated if the need arises. Single window clearance to be made available to filmmakers. 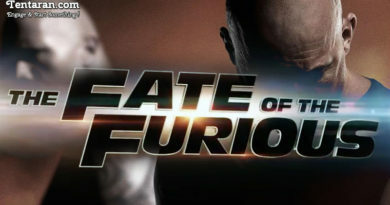 Anti-camcording provision to be introduced in Cinematography Act to fight piracy. For denotified nomadic and semi nomadic, a committee to be set up under NITI Aayog. 76,800 crore allocated for welfare of SCs/STs. Budget allocation to North East region increased by 21 per cent to Rs.58,166 crore for 2019-20. India being universally recognised as a bright spot of the global economy. From being the 11th largest economy in the world in 2013-14, India today is the 6th largest in the world. The average rate of inflation during 2009-2014 was a backbreaking 10.1%. The government brought down average inflation to 4.6% which is lower than the inflation during the tenure of any other Government. From the high of almost 6% seven years ago, the fiscal deficit has been brought down to 3.4% in 2018-19 RE. India has attracted massive amount of FDI during the last 5 years – as much as $239 billion. There were high stressed and NPAs amounting to ` 5.4 lakh crore in 2014. An amount of close to ` 3 lakh crore has already been recovered in favour of banks and creditors. To restore the health of public sector banks, recapitalisation has been done with an investment of Rs.2.6 lakh crore. RERA and Benami Transaction (Prohibition) Act, 1988 are helping to bring transparency in the real estate sector. Fugitive Economic Offenders Act, 2018 will help confiscate and dispose-off the assets of economic offenders who escape the jurisdiction of the laws in India. 10% reservation in educational institutions and Government services for poor while maintaining the existing reservation for SC/ST/Other Backward Classes. To provide food grains at affordable prices to the poor and middle classes, about `1,70,000 crores were spent in the year 2018-19 which is almost double the amount of Rs.92,000 crores spent in 2013-14. Under the Pradhan Mantri Gram Sadak Yojana, 15.80 lakh habitations out of a total of 17.84 lakh habitations have already been connected with pucca roads and work is going on to complete the rest very soon. Till the year 2014, about 2.5 crore families were forced to live the life of 18th century without electricity. By March, 2019, all willing families will get electricity connection. 143 crore LED bulbs with the participation of private sector were provided resulting in savings of around Rs.50,000 crore per year in electricity bills of poor and middle-class families. Launched world’s largest healthcare programme, Ayushman Bharat, to provide medical treatment to nearly 50 crore people. Already close to 10 lakh patients have benefited for medical treatment which would have cost them Rs.3,000 crore. 14 of total 21 AIIIMS have been announced since 2014. Setting up of the new 22nd AIIMS in Haryana is announced. More than 70% of the beneficiaries of Pradhan Mantri MUDRA Yojana are women who are getting affordable and collateral-free loans to start their own businesses. Benefits of Maternity leave of 26 weeks and Pradhan Mantri Matru Vandana Yojana for pregnant women have provided financial support to women while empowering them to participate in work. Under MUDRA Yojana 5.56 crore loans have been disbursed amounting to Rs.7,23,000 crores. National Programme on ‘Artificial Intelligence’ has been envisaged by the Government. This would be catalysed by the establishment of the National Centre on Artificial Intelligence as a hub along with Centres of Excellence. The number of operational airports has crossed 100 with the commissioning of the Pakyong airport in Sikkim. Because of ‘UDAAN Scheme’, today an ordinary citizen is also travelling by air. Indian Railways has experienced the safest year in its history. All Unmanned Level Crossings on broad gauge network have been eliminated. Introduction of the first indigenously developed and manufactured semi high-speed “Vande Bharat Express” will give the Indian passengers world class experience with speed, service and safety. Exemptions from GST for small businesses has been doubled from Rs.20 lakh to Rs.40 lakh. Small businesses having turnover up to Rs.1.5 crore have been given an attractive composition scheme wherein they pay only 1% flat rate and have to file one annual return only. Small service providers with turnover upto Rs.50 lakhs can now opt for composition scheme and pay GST at 6% instead of 18%. The average monthly tax collection in the current year is Rs.97,100 crore per month as compared to Rs.89,700 crore per month in the first year. Government has abolished duties on 36 capital goods. Introduction of single point of approval under section 65 of the Customs Act. Q – How do you and the people around you Rate this Budget on a scale of 1-10? I would rate the budget 9/10 because it is ‘People budget’ and it is example of “Sabka Saath Sabka Vikas”. Do connect with us on Facebook, Twitter and Instagram for more such updates. Thank you for the full details of given the budget ji. Very good team work well done ji.